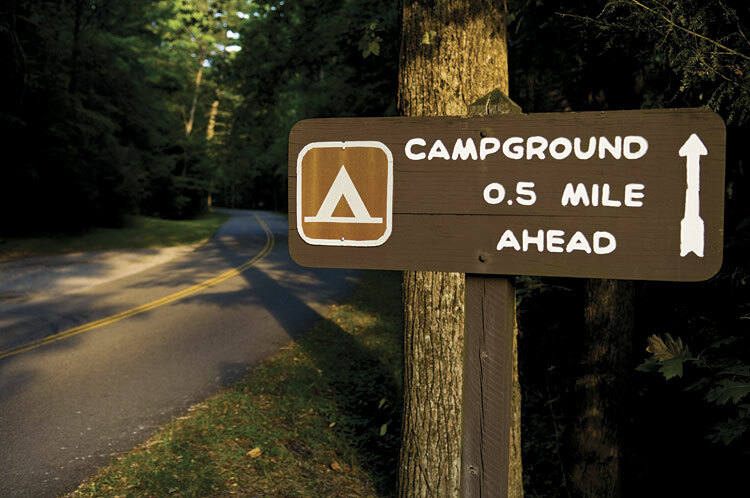 When it comes to the great outdoors, there’s not much that Tennessee doesn’t offer. Along with pristine parks, miles of rivers and breathtaking mountains, the state is home to more than 350 waterfalls, many of which are hidden gems that provide perfect places to cool off during the steamy summer months. 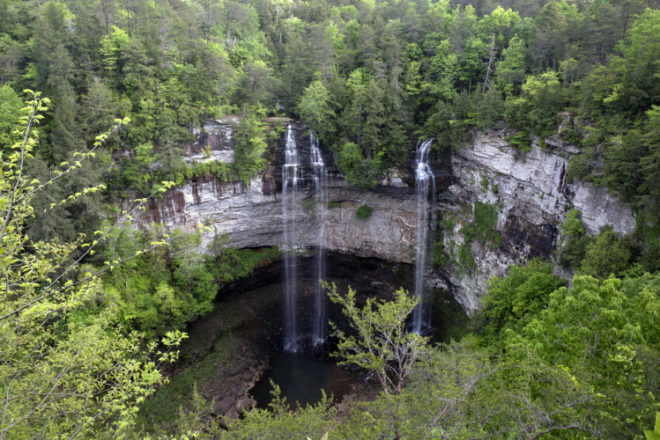 Although Tennessee’s waterfalls are exclusively in the eastern and middle portions of the state, many of them are an easy drive from West Tennessee. Plus, several Volunteer State waterfalls are located just off the beaten path, providing an excellent opportunity to discover some of Tennessee’s best-kept secrets. Take a look at 20 can’t-miss waterfalls in Tennessee, and tell us which one is your favorite to visit in the comments. Located in Van Buren County and part of Fall Creek Falls State Park, about 70 miles north of Chattanooga, Fall Creek Falls is the state’s most famous waterfall. Tumbling down 256 feet, the waterfall is one of the tallest single vertical drop falls east of the Rocky Mountains, and it’s easily accessible to visitors via a short, downhill hike. What about Bald River Falls in Tellico Plains, Tennessee? Ditto Rachael’s comment. Super accessible. There are 837 falls listed for the state of TN. Several of these are roadside and several require hikes. Benton Falls is a beautiful fall which doesn’t require a long hike. There appeared to be a picture of Burgess Falls on pg. 33 but it was not listed. That is one of my family’s favorite waterfalls. 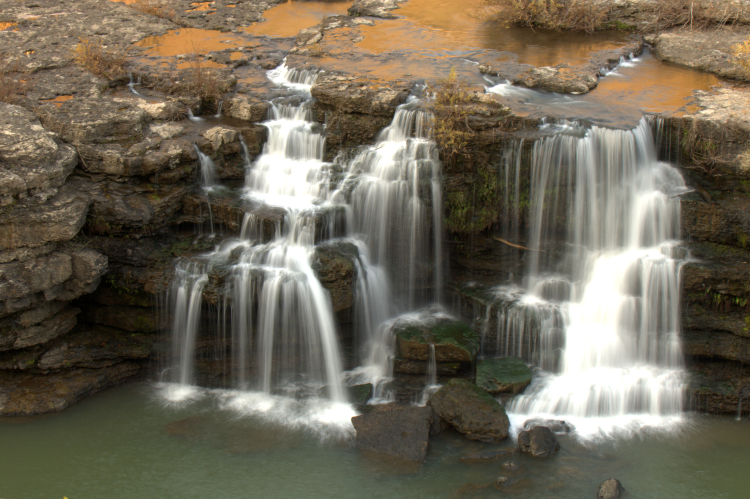 It is in Burgess Falls State Park and there are a total of 3 waterfalls there. They are all different heights. The big one is the very last one you come to. You can see it from the overlook or hike down to the bottom. The hike to the bottom is very strenuous. The steel stairway that led down toward the bottom at Burgess Falls was closed due to flood damage last time we stopped by. No date for repairs at that time. Best check the State Parks site before you go if you would be interested in going to the bottom. The other falls are beautiful and it’s a great park. While you listed the major “named” waterfalls you have missed out what I call the ‘Mile Marker Falls’. These are the tiny waterfalls that can be found in the medians and along side of the interstates. I-40, I-75, I-24, and I-81 as well as other smaller roads have tiny waterfalls that can only be easily seen by the passengers on long road trips. They are quite often brief flashes of beauty on a long dull ride. Thanks for sharing! We love our TN waterfalls! We love them so much we settled here after 22 years in the Air Force and opened BRIGHT HILL Bed & Breakfast in Smithville, TN. Tennesseeans that adventure to the local falls make up most of our Guests at http://www.brighthilltn.com. They are fun, laid back, and a perfect fit for our long porches and clean air! 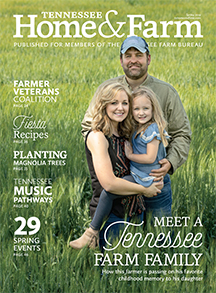 Thanks again for sharing these treasures and encouraging your readers to see all the beauty that Tennessee has to offer!